Maybe 15 years ago I went through a “woodworking phase” that was prematurely pushed aside by life, metalworking hobbies, a custom car project and a hobby business that was growing out of control. I didn’t actually make that many things, but this is one of them. 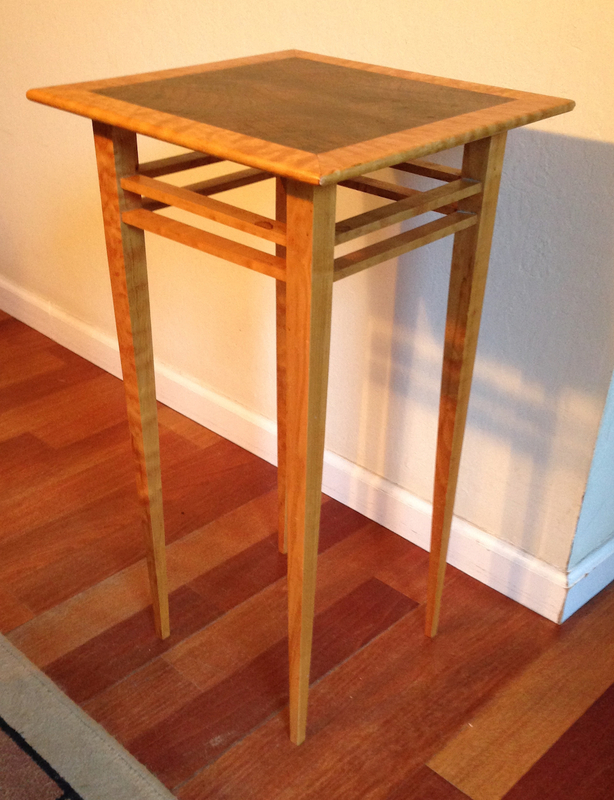 It’s a side table that I made for my wife to go next to a bed in the guest room that is somewhat overly tall. The table is made out of scraps of Quilted Western Maple, a off cut of figured Claro walnut that I re-sawed into 1/8″ thick veneer and some strips of bloodwood for the stringing. 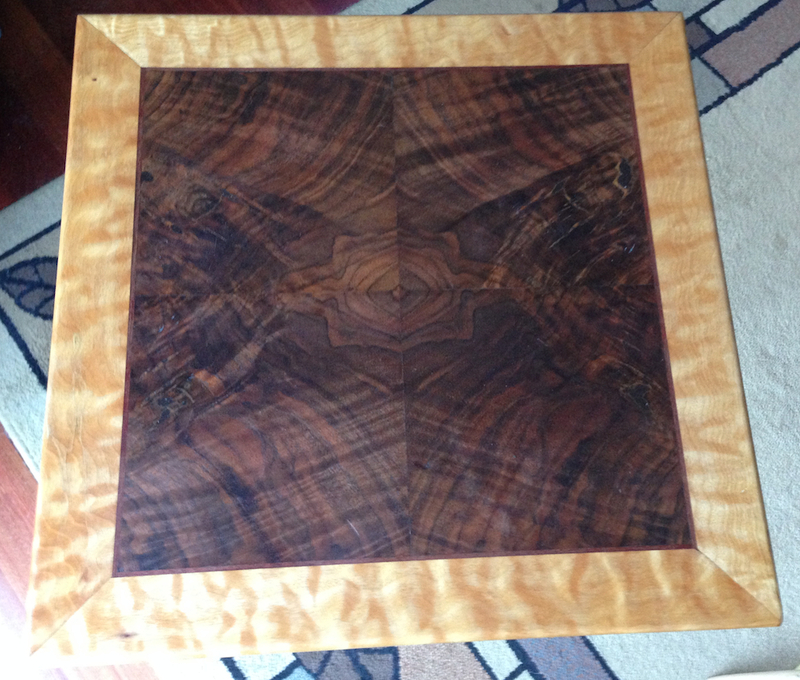 The core of the table top is MDF, veneered on both sides with a 4-way book match of the Walnut and then edged first with a strip of Bloodwood and then the mitered quilted maple edging. The skirts or stretchers at only thin strips because I only had enough material to do it that way, but I think it came out pretty well. Because it’s tall and spindly it always felt a little insubstantial, but it’s survived regular use, stacks of books, overflowing with family detritus and coffee spills intact and still looking good. Sometimes it’s fun to see what you can do with the scraps you have. Sometimes that includes cutting them up into little pieces to feed the smoker and make BBQ, other times it’s a table. After an long and interesting week at work and a 2+ hour commute home I’m ready to spend some quality time with my tools this weekend. Beautiful work! There are always distractions taking us away from those things we would like to be doing, we just have to be patient and stay on track.